European Beech (Fagus sylvatica): growing, planting, caring. A large tree - and when we say large : it is capable of reaching heights of up to 50 m.
Full description for Fagus sylvatica not yet available. The beech is a tree that can reach 30 meters in height. It is deciduous, oval, hairy on the back, shiny. Its buds are elongated and alternately organized, and the rather smooth silvery gray bark is very easy to recognize. 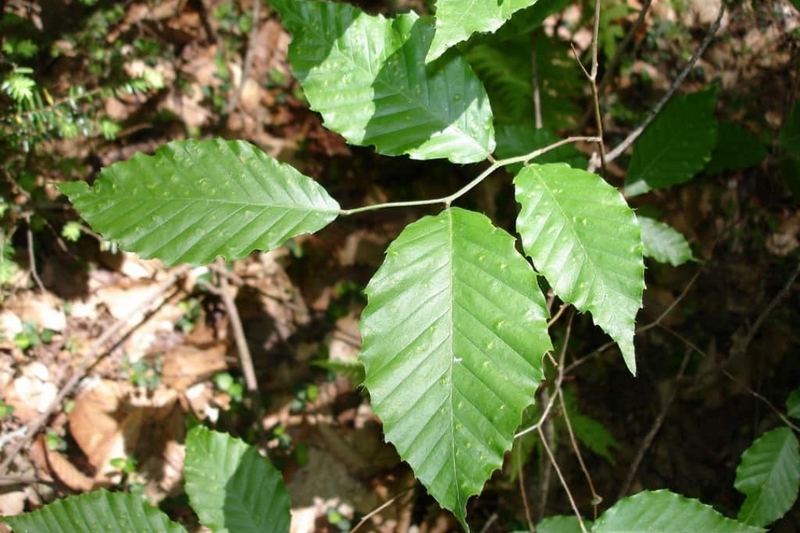 Plant your beech in deep, cool soil. Plant preferably in winter, in bare roots or in mound. Dig a hole deep enough, twice as large as the root ball, without mixing the layers of the soil. Plant a solid stake at the bottom of the hole, on the edge, inclined to the prevailing winds. Cut the root hair - the fine roots that looks like hair - to balance the volume of roots and foliage. Plant without burying the boundary between trunk and roots of the tree, putting the soil layers in the same order you removed them. Tamp the soil around the roots with your foot, so you do not leave a pocket of air, and attach the stake to the trunk with a suitable extensible link. Form a hollow in the soil and water abundantly until you fill it.